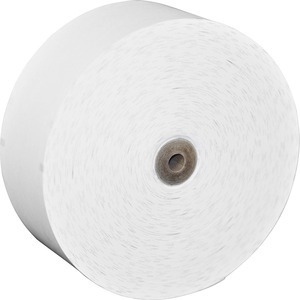 One-ply ATM Bond Receipt Roll with Sensemark Outside delivers among the finest quality in both image and performance. Offers a smooth, nonsmear surface. For use in teller and proofing machines including FMS100 Teller, NCR 1770, 1780, 2262, 177J2, 2251, 2261, 2270, 5000, 5067 and 5267.